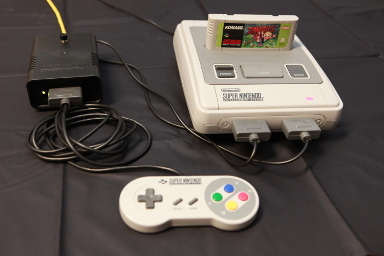 Here’s a cool hack for those of you wishing to play some retro multiplayer SNES games online! [Michael Fitzmayer] is a resident hacker at shackspace; der hackerspace in Stuttgart. He’s come up with this clever little ethernet adapter network-bridge that can share local controller-inputs over the internet. The entire project is open-source, and readily available on github. It’s still in the early stage of development, but it is already fully functional. The firmware is small and will fit on an ATmega8, and by the looks of the component list it’s a fairly easy build. He’s even integrated a switch mode (hold B and Y during boot), which avoids trying to figure out which controller will be player one! After all, don’t you remember untangling the controller cords, trying to figure out which one is which? We know you had a favorite controller and would give the other “crappy” one to your guest. Example video is after the break.